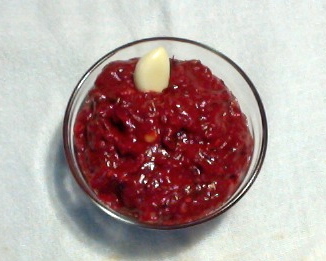 Cranberry Dal is a healthy dish in South Indian style. Cranberries are available during November and December months. You can buy at that time and store in your freezer. Just like Mango dal, Cranberry dal is also very delicious. Rinse toor dal and soak in water for 30 minutes. Soaking reduces the cooking time. Wash the cranberries. 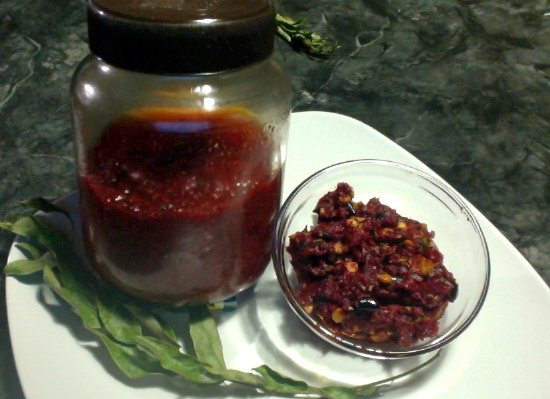 Cook the soaked dal along with cranberries in pressure cooker. You may follow the instructions for your own pressure cooker. Pressure cookers are different from each other. You may also cook on stove top. I cooked 10 minutes on high flame in my pressure cooker and switched off the flame. I gave 10 minutes cooling time and then opened the pressure cooker. Now it is ready for tempering. Keep a sauce pan on medium heat and heat up the oil or ghee. When the ghee is hot add fenugreek seeds followed by mustard seeds and cumin seeds. Keep stirring. When the mustard seeds are spluttering add green chili, red chili, hing/asafoetida and curry leaves. Then add crushed garlic and fry until the garlic is light brown. Add cooked dal and cranberries. Give a stir. Add turmeric powder and salt. Add water to get your desired consistency. Mix it well and cook on low for 5-10 minutes. Switch off the flame. 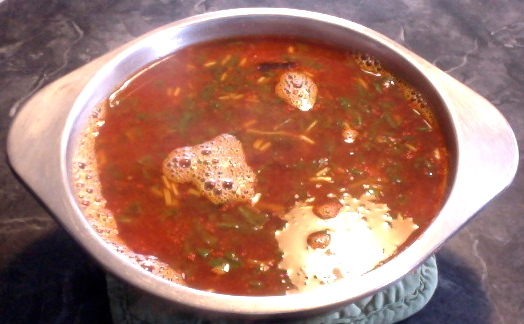 Serve it hot with rice. 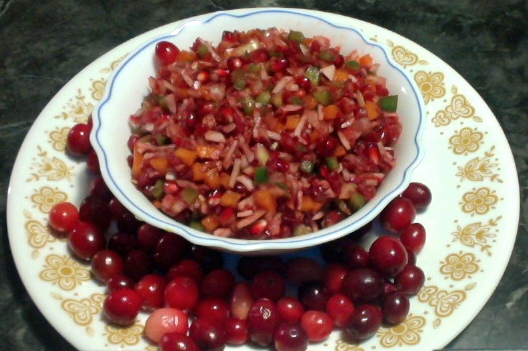 Enjoy cranberry dal/pappu. 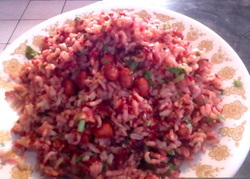 Cranberries are high in Vitamin C.
They are loaded with anti oxidants. They also contain the essential trace mineral Iodine.